Dubai real estate is flourishing - particularly the hotel sector. However, how does its rapid growth and investment prospects compare to some of the world's other top markets? Here, we take a look at some of the fastest growing markets today - cities where the rate of room construction makes up a significant percentage of existing room volumes, according to Jones Lang LaSalle's (JLL) Hotel Investment Outlook 2016. One of the world's premier tourist and business destinations, Dubai is ripe with real estate investment potential. It is also the fifth-largest metropolitan economy in the world, and undergoing rapid, diversified development; changes that the government plans will safeguard the emirate's future as a world-class tourism and business hub. Dubai also provides a tax-free environment for investors, with 0 per cent local corporate tax. This, paired with the rapid rate of property development and burgeoning tourism market, helps make Dubai one of the world's most appealing hotel investment prospects. Dubai's tourism market has exhibited rapid growth over the past three decades - and that growth is set to continue. Currently fuelling a rapid upswing in hotel rooms and tourist attractions is Expo 2020, which will take place from October 2020 to April 2021. In the approach to the event, the Dubai government is targeting 20 million tourists per year (double 2010 levels). Some 25 million visitors are expected to attend the Expo itself, 17 million of which will be visitors to Dubai. In terms of hotel development, this is a particularly fecund time for the emirate. It intends not only to double its number of hotel rooms by 2020 (compared to 2013), but also to diversify its hotel offering by investing in expanding its selection of mid-range hotels, therefore opening it up to a wider tourist pool. This move is designed to safeguard the longevity of its tourism industry, which makes up 8.4 per cent of the UAE GDP (2014, the World Travel and Tourism Council). Emirates Airlines is bolstering Dubai's standing as an international hub with its expanding route offering. The fastest growing airline in the world, it currently flies to more than 140 destinations across 80-plus countries, and has launched eight new passenger destinations in the past year, including Bali, Istanbul and Orlando. In terms of fleet size, passenger numbers and revenue, it is the Middle East's largest airline and made a record profit of AED 8.2 billion for the year ending March 31st 2016, marking its 28th consecutive year of profit. Moreover, JLL's Hotel Investor Sentiment Survey 2014 report found that Dubai ranks among the best mid-term hotel investment prospects in the world. It revealed that investor positivity towards the market's investment potential had a positive net balance of 86.7 per cent, compared to the global average of 61.1 per cent. Between 1990 and 2013, the travel and tourism sector's contribution to the emirate's GDP increased by 268 per cent, according to the WTTC. This is significantly higher than its overall economic expansion, which increased by 156 per cent over this period, demonstrating just how important the sector is to the emirate's wider economy. Boasting one of the US's largest economies, New York is a consistent destination for both corporate and leisure travellers. As an international business hub and one of the world's top tourist destinations, it reliably brings in travellers from both categories. What's more, its GDP is growing, particularly driven by the financial, healthcare, professional and technical services, and retail sectors. New York has the highest hotel occupancy rate in the US, according to figures from Smith Travel Research, as well as one of the highest in the world. Its consistently strong tourism market endows New York with a similarly consistent appeal among investors - and it appears that this appeal is particularly flourishing in the current climate. Indeed, according to JLL, some $1.9 billion was poured into New York hotel transactions by offshore investors in 2014. Commenting in a company blog, managing director at JLL Jeffrey Davis notes the city represents something of a safe haven among investors. "New York has long been one of the top global hotel markets and represents a strong, secure option for offshore investors. Confidence in the economy, an increased number of players in the market and strong operating fundamentals are driving intense competition for the top hotel assets." Describing such assets as "forever real estate", Mr Davis states that such properties are largely insulated from wider market movements and as such reliably increase in value over time. Visitor numbers to the city are also steadily increasing. According to figures from nycgo.com, total visitors (international and domestic) sat at 56.5 million in 2014, up from 52.7 million in 2012. 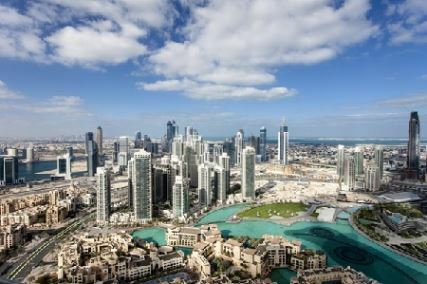 Interestingly, despite space being at a premium, data from JLL and Smith Travel Research show that the rate of rooms under production in proportion to the level of existing rooms in the city is second only to Dubai, sitting at 12 per cent. Istanbul presents an interesting market to investors. Its current climate is volatile, with political and regional issues interrupting the strong tourism growth Turkey as a whole was experiencing. However, the JLL Turkey Commercial Real Estate Overview report notes there are some positives, such as the its 2015 ranking of the third most visited city in Europe and fifth in the world on the MasterCard Global Destination Index. Plus, international visitor numbers to Turkey as a whole increased five per cent in 2015 year-on-year. Furthermore, JLL's Hotel Investment Outlook 2016 revealed the city to have the third-highest rate of room construction as a percentage of existing rooms, coming in only behind Dubai and New York at just over ten per cent. However, there is no denying that difficult conditions in early 2016 have had a negative impact on visitor numbers. While this potentially creates a poorer short-term picture for investors in both business and leisure-focused hotels, JLL's recent report on Turkey's commercial real estate highlights "the situation is creating good opportunities from which opportunistic investors should benefit". This is mainly based on a projection of mid-term resilience, with the expectation that current political instabilities in Turkey and the surrounding countries will be stabilised in this time. Investors should, however, be ready for diminishing short-term prospects and instead consider focusing on a mid and long-term strategy in Istanbul. These three cities, representing the Middle East, the US and Europe, are investing in new hotel developments at a quicker rate than other top destinations. However, the investment prospects they provide are very different from one another. In Dubai, we see the most rapid growth and the greatest drive towards diversification, not to mention clearly defined tourism and business goals for the near future. In New York, we see growth within a stable hotel economy, while Istanbul presents a recent strong tourism performance against a backdrop of more recent political instability.